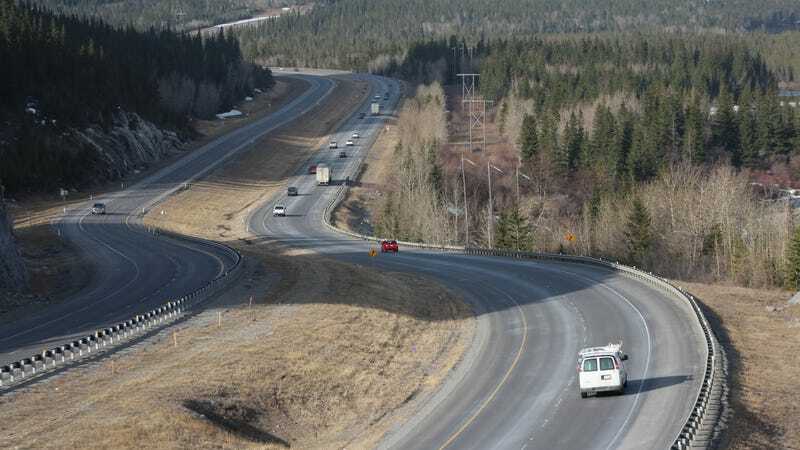 The Trans-Canada Highway is a highway that, naturally, goes across Canada. It’s 4,990 miles long (or 8,030 kilometers, in Canadian), and it took more than two decades to complete it. This guy believes he found the last paved section, and boy howdy is he jazzed about it. “Well, HERRRE WE ARE,” he begins, at what must be the greatest, most mundane piece of asphalt in the entire world. I don’t know, I’m not an expert. But I don’t want to rain on the parade. Like I said, the man is bursting with joy. Neato. Though according to my own (admittedly shoddy) five minutes of Googling, the final section may actually be in Ontario, rather than the British Columbia as stated in this epic masterwork of pure discovery and happiness. But I don’t really care, I’m more just happy about the ending, which signs off with the most Canadian statement of all time. Ladies and gentlemen, yourrrrr Trans-Canada Highway! THIS IS YOURS, CANADA!!!!! Though we welcome guests, too.